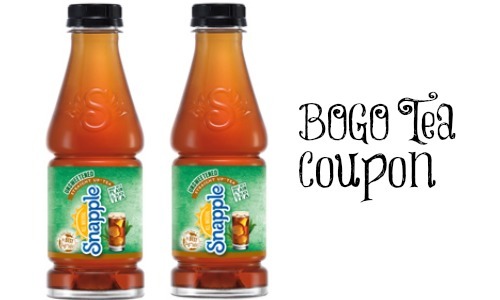 There is a new BOGO Snapple Straight Up coupon that you won’t want to miss! This is available for the 18.5 oz bottles of tea and is up to a $1.48 value. Note that this coupon prints with a Walmart logo, but it’s a manufacturer so you can use it anywhere! Go ahead and print it to have ready for an upcoming sale.